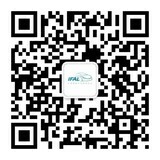 IFAL,International forum automotive lighting, China (IFAL) is a grand gathering in the automotive industry, a high-end platform for technological innovation and industrial exchanges, the highest academic hall and the best stage for automotive lighting. IFAL has been successfully held six sessions since from 2013. This forum has attracted a great deal of international and domestic experts, scholars and enterprises of automobile lighting and automobile intelligence area to join in discussing such major topics as automobile lighting designing, intelligent automobile lights, product manufacturing,technology application, future development trend and standard and regulation setting. The academic nature and specialty of IFAL has been highly praised by domestic and foreign experts and scholars, which make the forum now becomes the high-level platform for academic and industrial exchanges in the field of automotive lighting. At the same time, forum provides a high-end technology exhibition, which has attracted a large number of participants, including vehicle enterprises, lamp enterprises, light source companies, new material enterprises, equipment suppliers, testing organizations, research and development organizations, design companies, and mold development companies, etc. It covers the innovation technology of whole industry chain of automotive lighting, ranging from automotive lamp designing and developing to manufacturing. It is also the highest quality professionally automotive lighting exhibition, which providing many opportunities for cooperation. We sincerely invite experts, scholars, entrepreneurs and colleagues from the international and domestic automotive lighting industry, such as science and technology researching, lamp manufacturing, automotive enterprises, standard testing, government management departments, etc.